The dramatic fall of the Atlantic City gambling scene has been a centerpiece of casino industry headlines for months, but Wednesday brought about a silver lining for the struggling city. As recently as five years ago, the Boardwalk City’s Resorts Casino Hotel was struggling to survive. 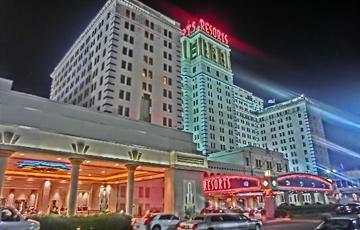 In large part, this came as a result of bigger, newer Atlantic City casinos that were dominating the local industry. However, times have changed in the last few years. Today, four of Resorts’ primary competitors have gone out of business, while the resilient casino has fought to survive through the addition of amenities and a little help from the Mohegan Indian tribe’s casino management team. This week, Resorts will continue its foray into its newly profitable existence by opening a $9.4 million expansion of its meeting and conference space designed specifically to take advantage of a pressing need in the gambling resort. The opening also serves as a celebration for those connected to Resorts, as it has been brought back to life in the otherwise desolate Atlantic City casino market. Rewind to December 2009, and you’ll see the former owners of Resorts, Colony Capital, within mere hours of walking away from the casino once and for all. Before this could happen, however, veteran casino executive Dennis Gomes and New York real estate investor Morris Bailey entered the fold by purchasing the property, intent on reviving the first casino to open inside the United States outside of Nevada. What happened next was an amazing turnaround, as Resorts went from losing $12 million in 2012 to making $2.5 million last year, and even more improvements are expected with this year’s financial results. In the second quarter alone, Resorts posted a gross operating profit of $4.8 million. So, how did they accomplish this turnaround? First, Bailey signed a deal with the highly-regarded gambling arm of the Mohegan tribe to manage the day-to-day affairs of the casino. Additionally, this deal resulted in an affiliation agreement that gave Resorts access to the customer databases of Mohegan-run casinos in Connecticut and Pennsylvania. Then, Resorts was bolstered with amenities to attract new customers, including the opening of a $35 million Jimmy Buffet-themed Margaritaville restaurant, bar and entertainment complex in May 2013. Add to those effort the rapid increases in market share afforded by the closures of four casinos last year, and Resorts flipped its position on the city’s gambling charts. In order to build on this momentum, the casino is also awaiting regulatory approval to join forces with PokerStars, the world’s largest online poker website. This deal could greatly increase the visibility of Resorts moving forward. While some industry experts remain concerned about the long-term viability of Resorts’ recent improvements in the face of increasingly stiff competition in surrounding markets, there’s little doubt that the story of this casino is a great success for Atlantic City. The combination of non-gaming attractions and value for tourists who don’t want to gamble has proven to be a wise investment to this point, and it could be just the formula that Atlantic City needs to get back on its feet in the years to come.